Let it be known that boredom, inspiration, and graphic design experience are a dangerous combination. In a recent episode of “Doctor Who,” we learned that the Doctor’s now-former companion, Amy Pond, had made it big as some sort of cosmetics or fashion designer, complete with her own line of perfume. 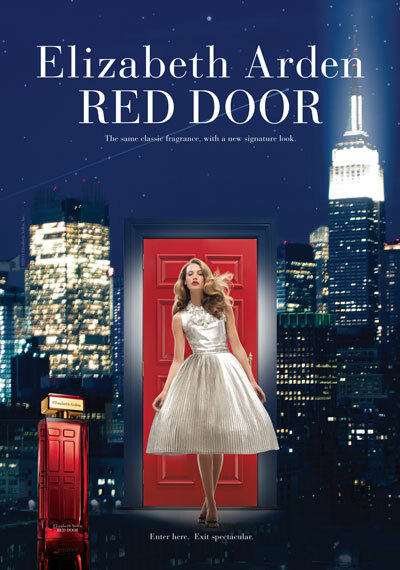 On the TrekBBS, Samurai8472 made a post saying that this perfume ad would be a pretty good design for an Amy Pond ad. I immediately saw where he was going with that (I hope), and started trolling the web for the necessary images (note to Karen Gillian: Please be photographed more in full body shots, against solid-colored backgrounds, while looking towards the camera. My options ended up a little limited). 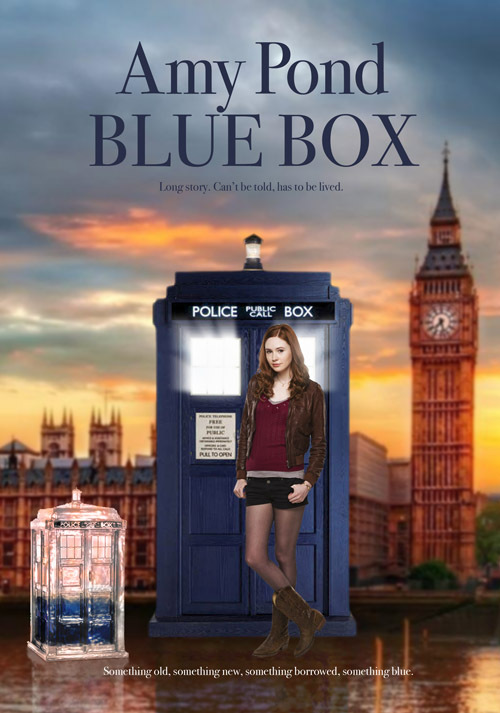 The central elements ended up being photos used for cardboard standees of Amy Pond and the TARDIS, this HDR image of London and this TARDIS inkbottle, which may or may not be a Photoshop. A few pixels pushed, et voilà.